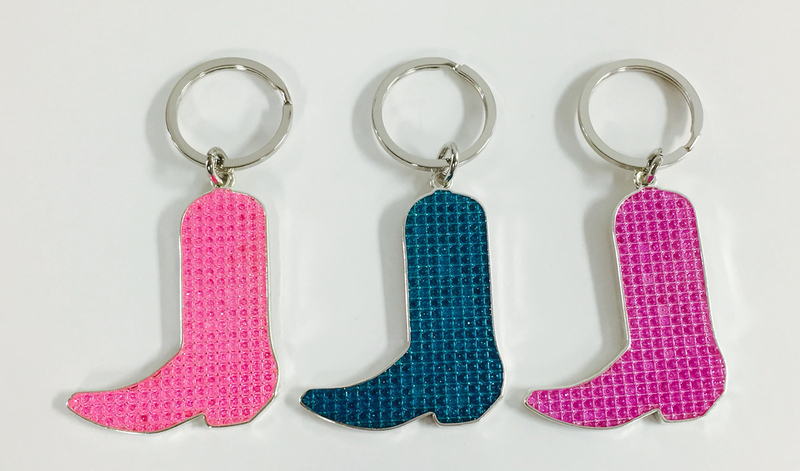 Our bling cowboy boots measure 2 1/4" high by 2" wide at the longest point. 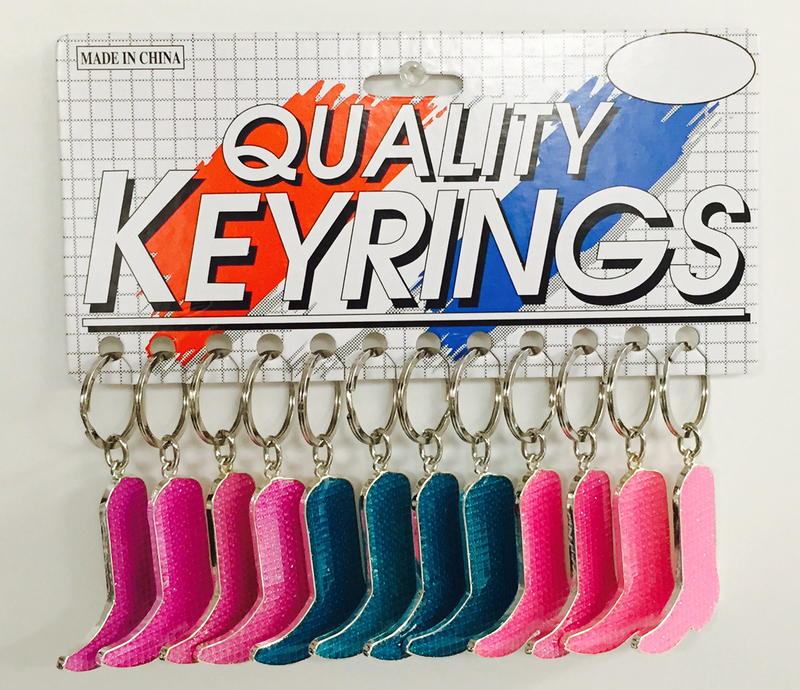 The key tags are connected to a 1 1/4" flat split ring. Each piece is made from zinc alloy, are nickel plated, and filled with bling stones with thin film of epoxy on top. Available bulk in assorted colors only.